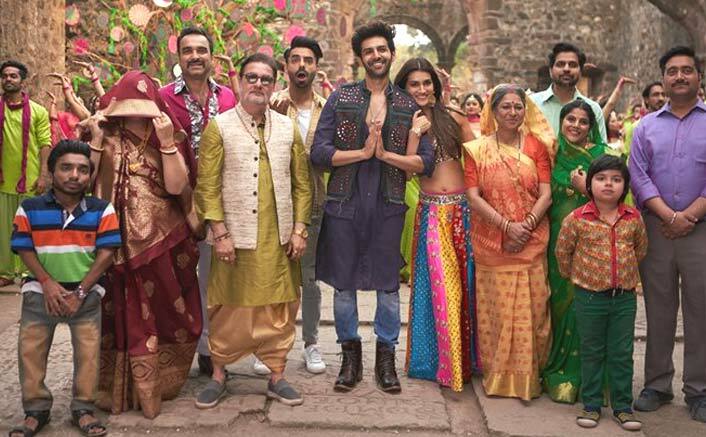 Luka Chuppi Box Office: After taking a very good start on Friday [8.01 crores], Luka Chuppi saw further growth on Saturday. This was always on the cards since the word of mouth for the film was positive and the critical appreciation too was better when compared to otherwise how this genre is generally received by the critics. As a result, 10.08 crores came for this Laxman Utekar directed film which is now set for further growth today. The film has collected 18.09 crores so far and with the kind of trending that the film is seeing currently, one can expect a weekend in the vicinity of 30 crores. If that indeed happens, it would indeed be quite good for Kartik Aryan and Kriti Sanon who are already assured of a good success in the offering. This Dinesh Vijan produced film further benefits from the fact that its overall cost of production (including P&A) is just 25 crore and the recovery of 30 crore has already been made through sales of satellite, music and digital rights. As a result for the makers the film is already in profits and whatever comes in from this point on from theatrical business (both domestic and overseas) would be added bonus. Given the kind of numbers that the film is already garnering, rest assured there are huge profits waiting to be made for the producer here. The post Luka Chuppi Box Office Day 2: Has A Good Saturday, Is Yet Another Success This Winning Season appeared first on Koimoi.